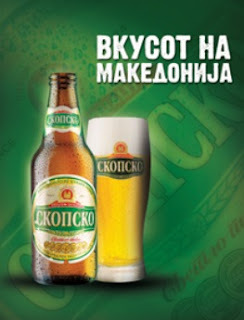 Skopsko is a mild alcoholic beverage, product of Pivara Skopje and its the most popular beer in Macedonia. This is the brand with rich tradition and superior taste with a quality that has been sustained for over 85 years. Skopsko beer is brewed according to the original recipe that dates back to 1924 and its recognisible by its distinctive golden-yellow colour, firm foam and unique taste. Produced from the basic raw materials: Malt, grain adjuncts raw materials, water, hops and yeast. can I get some beer labels from Macedonia? Gorsko Gorsko is a Macedonian light beer, product of Pivara Skopje, the biggest brewery in Macedonia.